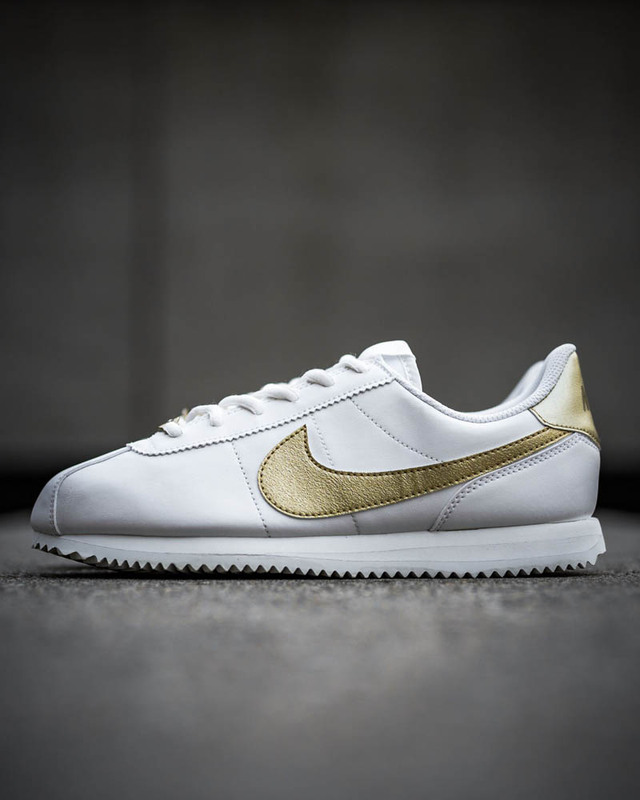 Beautiful deubre with ‘Cortez ’72’ detail. Durable synthetic leather makes it easy to maintain. Clean look with hits of Gold. 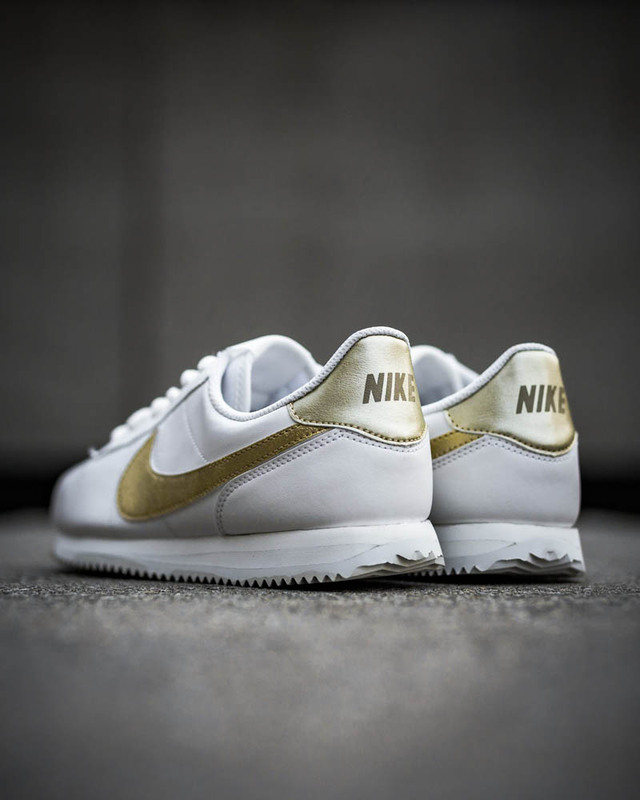 The all-new NIKE Cortez Basic; round laces, padded tongue and collar on a retro silhouette. The synthetic leather makes it easy to clean and even easier to maintain. Hits of gold make the shoe demand attention – without showing off. The midsole features one of the lightest and most weatherproof materials on the planet; polyurethane foam. Herringbone rubber outsole delivers glue-like grip while making it easy to maintain. 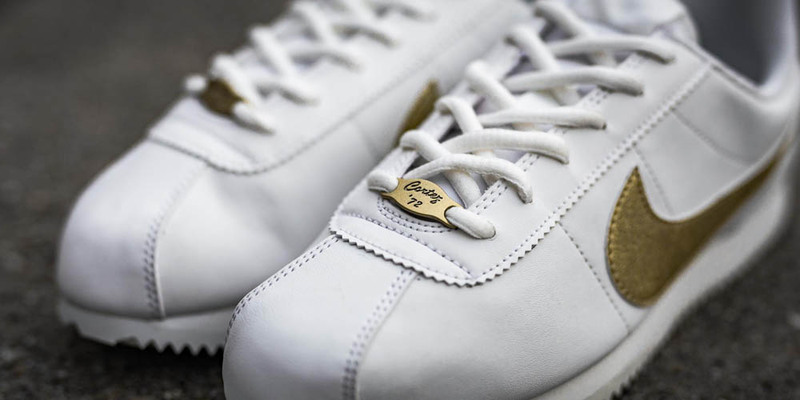 And that gold deubre…it’s the details that’ll set you apart. 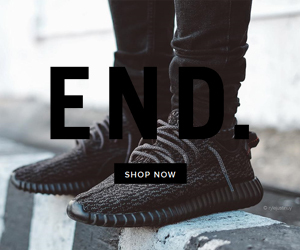 Buy it at FinishLine | NikeUK | NikeUS | SNS | END. ← Pusha T’s latest sneaker features ‘Fish Scale’ print…but why?